You’re working on Google Drive and Gmail, and want to do more. You need an app that will let you, say, track emails, do mail merges, or, if you have a Google Apps for Work or Education account, connect to a third-party app that you’re already using, like Smartsheet, Lucidchart or Zoho. The good news is that, to find this external app, you have three marketplaces to choose from. There are the Google Apps Marketplace, the Chrome Web Store, and the Add-ons Marketplace. The bad news is… you have three marketplaces to choose from! Let’s stay with mail merge as an example. So you need a faster way of sending personalized emails to a group of contacts. Go to each marketplace, tap “mail merge” in the search bar, and each one will give you a list of different possibilities. You haven’t even started choosing an app yet, and already confusion sets in. Which marketplace should you use to find the tool that is right for you? We’re here to help you make sense of the mix. But First: Why are Marketplaces Necessary? Having a marketplace is great for users – that means you – because it makes looking for apps easier. Without a marketplace, you’d have to go on the Web to look for it on your own. Imagine the hassle! Tap “mail merge” on a search browser, and you mostly get definitions of the process. Tap “mail merge app” and you get better results, but maybe just 2 to 3 solutions on the first page, not the 5 to 10 you get on the marketplaces. And the solutions you do manage to find while doing a Web search come to you without the invaluable insight provided by written customer reviews and marketplace rating systems. And Then: Who is the User? You’ve figured out why marketplaces are necessary, but before you can go apps shopping, you still have to define who you are as a Google user. This will have a big impact on the marketplace you will choose to look for your mail merge product. You can be one of the 900 million people in the world who has a free @gmail.com email address. 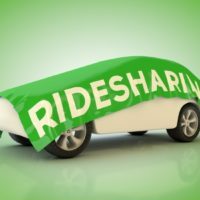 You may be using it for personal purposes, for collaboration with a team (maybe a non-profit or a sports organization), and even to operate a small business. In some cases, you may be working for a company using a Microsoft solution, but you have opened an @gmail.com account to do work-related tasks that you cannot do with your office-issued tools, like working simultaneously with your customers on the same spreadsheet, or sharing a calendar of events publicly. Another possibility is that you are working for one of the millions of companies that has subscribed to Google Apps for Work. You are using Gmail with your company email address, for example, sales@wizy.io or rick@wizy.io. A third option is that you are working or studying in one of the millions of learning institutions using Gmail for education. Your school or university has subscribed to Google Apps, and you have an email address like carol@stanford.edu or michonne@harvard.edu. Why is this important? Mainly because the type of Google account you have determines which marketplaces you can get into. If you have a free email address with an @gmail.com, then you can look for your mail merge tool only inside the Add-ons Marketplace and the Chrome Web Store. 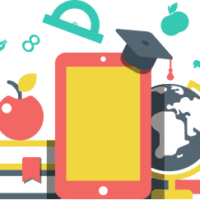 The choice to find your solutions inside the Google Apps Marketplace is reserved for users with an account with Google Apps for Work and Google Apps for Education. Third Point: Where will you Work? The Chrome Web Store: It’s a marketplace originally created to offer products that work with the Google Chrome browser. In the Chrome Web Store, or CWS, you will find Chrome extensions, Chrome themes, and Web apps. Once upon a time, you’d only find apps that worked specifically with Chrome, but recently apps that are listed in the Google Apps Marketplace have also started appearing in the CWS. One thing remains constant: Everything that you find here will work with your Chrome browser. The search menu on the left of the marketplace will help you find what you are looking for. There is a search bar and a list of filters – do you want a Chrome app, one that is free, and one that has a five-star rating? 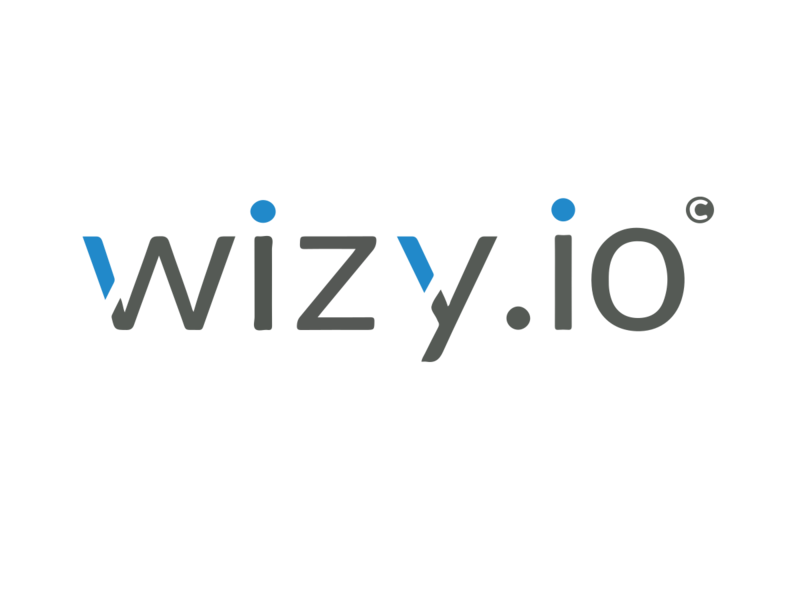 Choosing the three aforementioned filters, plus typing “mail merge” on the search bar, will lead you to the wizy.io extension Mail Merge for Gmail. Clicking on the listing will open a page explaining what the product is and how it works. You install the product by clicking the blue “Add to Chrome” button. 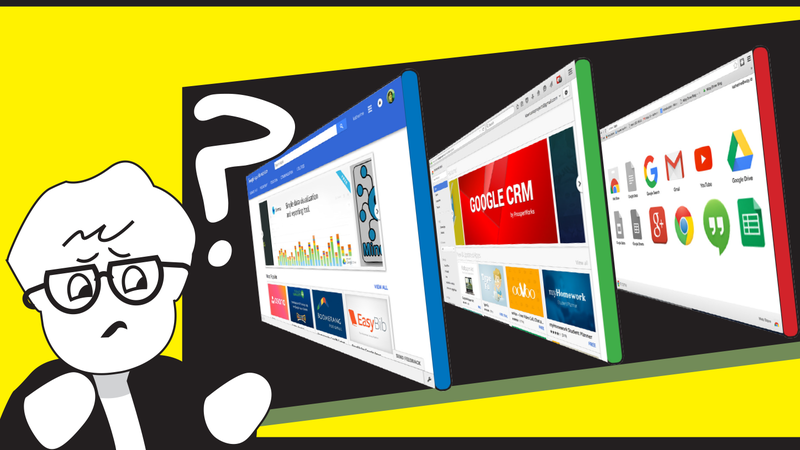 Before we move on to the next marketplace, you may be wondering what a Chrome extension is, and how it is different from a Web application that works with Chrome. A developer would have his way of explaining the technology behind it all, but for a user’s purpose, it’s enough to understand that a Web app is a lot like a standalone website. It works on a page all to itself. You can open this page on a Chrome or another browser. An extension, on the other hand, will not open on its own page, or have very much by way of dedicated interface. It will extend the functionality of your Chrome browser or your native Google App within the interface of that app itself. Mail Merge for Gmail, for example, appears as buttons and a sidebar inside your Gmail. Using it will not lead you to a separate page; you stay inside Gmail. If you were to open Gmail with another browser, Mozilla for example, Mail Merge for Gmail will not function. The Add-Ons Marketplace: This is the newest of the three marketplaces, having been launched just March of 2014. In general, what you will find here are products with a narrower range of functionalities than those that you will find in the other two marketplaces. This is where you look if you want something that will allow you to do more things with your Google Docs, Forms and Sheets. You get to this marketplace by clicking “Add-ons” in the menu bar of one of the three Google Apps we just mentioned, and then choosing “Get Add-ons.” A pop-up window will appear on your screen showing you the marketplace containing all its different products developed by third-party developers. Searching is easy enough. A drop-down menu on the upper left corner of the marketplace gives you the categories Business Tools, Education, Productivity, Social & Communication and Utilities. Under Productivity, you would find Data Merge, one of wizy.io’s most popular tools. It’s an add-on divided into two parts, one for generating documents, another for performing mail merges. You can also find Data Merge, or indeed any other product, by tapping its name in the search bar. Once installed, you can start using an add-on by clicking on “Add-ons” and choosing the product from the drop-down menu. The Google Apps Marketplace: GAM is where you go if you have a Google Apps for Work or a Google Apps for Education account, and you want a third-party app that will extend the functionality of your native Google Apps. While you will find in here some of the same products that you will see in the Add-ons Marketplace and the Chrome Web Store, the focus is on heavier applications that can be used across an organization – be it a business or an educational institution. The categories are Business Tools, Productivity, Education, Communication and Utilities. A quick peek at the subcategories under Business Tools show us that they include Accounting & Finance, ERP & Logistics, Marketing & Analytics, and Sales & CRM. Heavy stuff, we told you. Tap “mail merge” in the search bar here, and one of the solutions that the Google Apps Marketplace will pull up for you is wizy.io, which is a suite of applications that will increase the efficiency of enterprise processes, with tools not only for mail merge, but also for workflows, email productivity, and sheet consolidation. The Marketplace is organized so that you can see the most popular products. Those include KiSSFLOW, which automates approvals; and Wrike, a project management tool. The first has more than one million users, the second has more than two million. These very high numbers are possible because, although recent changes have made it so that individual users can use the marketplace, applications listed in GAM are traditionally downloaded by the administrator of a domain, who then deploys them to the entire organization, which can number from less than ten to thousands of employees. Watch for Part 2 next week! We’re still working on Part 2. Watch for it in early January! Now that you have a better idea about the marketplaces, read our Guide to Choosing Your Third-Party Applications. We’ll cover the ratings systems and the reviews, talk about pricing, and delve into security concerns.